David Rapoport is the founder of Rapoport Law Offices, P.C. A veteran trial lawyer, Mr. Rapoport’s practice is focused exclusively on personal injury and wrongful death matters. In his more than 20 years of practice, he has handled a wide range of serious injury and death matters including airplane crash, medical malpractice, product liability, premises, workplace accident and collision cases. Mr. Rapoport has obtained and collected record high jury verdicts on behalf of clients including an $8.1 million verdict in the first damages case tried arising out of the crash of USAir Flight 405 at LaGuardia airport, a $3.1 million jury award in a breast cancer medical malpractice case in Wisconsin, a $3 million jury award in a plane crash case in Illinois and a $2.4 million jury award for two injured construction workers in Illinois. He has also negotiated many out of court million and multimillion dollar settlements. During his career, Mr. Rapoport has collected more than $100 million on behalf of his clients. Mr. Rapoport has successfully represented clients involved in airplane crash cases in venues all across the county. For example, he was selected to act as the lead trial attorney in consolidated federal cases arising out of the crash of United Airlines Flight 232, a DC-10 that crashed at Sioux City, Iowa on July 19, 1989 and USAir Flight 1016, a DC 9 that crashed at Charlotte, North Carolina on July 2, 1994. He has been appointed by federal judges to serve on Plaintiff’s Steering Committees in cases arising out of the crashes of American Airlines Flight 1420 (Little Rock, Arkansas), Egypt Air Flight 990 (Nantucket Island, Massachusetts), Swissair Flight 111, American Eagle Flight 3379 (Morrisville, North Carolina) and USAir Flight 1016 (Charlotte, North Carolina). Mr. Rapoport represents or has represented clients in cases arising out of the crashes of United Airlines Flight 811 (Hawaii), USAir Flight 405 (LaGuardia Airport, New York), USAir Flight 427 (Pennsylvania), United Express Flight 5925 (Quincy, Illinois), American Airlines Flight 587 (Belle Harbor/Queens, New York) and Air Midwest Flight 5481 (Charlotte, North Carolina). Mr. Rapoport has also successfully handled numerous general aviation cases. Mr. Rapoport is listed in numerous “Who’s Who” publications, including Who’s Who in American Law, Who’s Who of Emerging Leaders in America, Who’s Who in the Midwest, and Who’s Who Worldwide. He is listed as a Personal Injury Law Transportation Leading Attorney by Law & Leading Attorneys. He was again selected by his peers as an Illinois Super Lawyer for 2009 in the field of Plaintiff’s Personal Injury law. 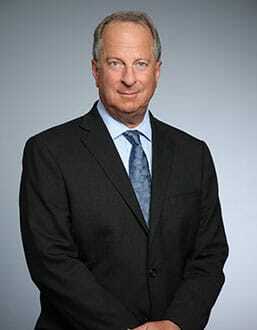 Mr. Rapoport is of counsel to the Chicago law firm Katz Friedman, Eagle, Eisenstein and Johnson, where he began the practice of law in 1981.